Businesses that rely on others for the delivery of goods may find that there are times when the deliveries are unacceptable. Depending on the contracts agreed between the two entities this might be enough to sever all business ties or something so minor that it only requires a verbal complaint to correct. However, putting the complaint in writing serves to protect both businesses in case of future problems. To this end letters of complaint about goods delivered should always include details of the exact complaint, details of expected future actions and contact information for the employee handling the case. Such letters should always be formatted as formal business letters. There are many types of complaints which businesses might have when they receive goods from others. The date, time or manner of the delivery might be unacceptable. The method of delivery may not be that which was agreed upon. The number of goods delivered or the condition of goods delivered might be disputed. Whatever the content of the complaint, as many details as possible should be included. Names, dates, numbers and detailed descriptions will help the recipient understand the complaint and allow the writer to document what happened. This can be particularly handy if the same complaint is made more than once (thus a pattern can be established) and/or if any legal proceedings result from the complaint. There may already be a contract in place to provide for what should happen following particular complaints. If this is the case then the relevant section of the contract could be added to your letter of complaint remind the recipient about what his or her next steps should be. If there are no agreed 'next steps' then your might consider suggesting what you would like the recipient to do in order to correct the problem. These suggestions should be fair and of the same scale as the complaint for the best chance of having them accepted. If there is a particular employee handling the complaint then this person's name and contact information can be included in a letter of complaint about goods delivered. Obviously this information should be the business contact details only, and if there are certain days or hours during which (s)he will discuss the matter then this information should be included as well. Any set deadline for a response to a complaint should also be noted. 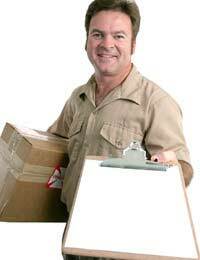 A letter of complaint about goods delivered is a formal business letter. As such it should include the name, job title and organisational details of both the writer and recipient. Formal salutations and closings should be used, and a space should be left for the writer's signature. Such a letter should be typed and printed on organisational letterhead. Delivery via post or courier is acceptable. This is a complaint about the shipment of [Items] that [Organisation One] received from [Organisation Two] on [Date]. Not only was this shipment late by [Number of Days/Weeks], but it was delivered via [Company] rather than [Company Agreed]. Upon opening the shipment it was discovered that there were [Number] fewer [Items] than ordered and that there was a general odour attached to the [Items]. [Number] of [Items] also have [Description of Problem] which render them unsaleable. Please contact me on [Telephone or Address Number] immediately so that we may discuss the collection and replacement of these goods.